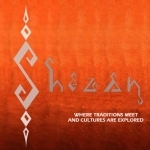 Short Business Description: Shezan, New Jersey's classiest Pakistani Restaurant, opened in 1993. The service and the quality of food even today is remarkable. Shezan's history and its reputation makes it one of the finest restaurants in New Jersey. Short Business Description: Shalimar Halal & and Groceries offers you the large selection of Halal meat and Groceries in New Jersey. Shalimar delivers fresh halal meat at lowest possible price to our customers. Our meat is sliced on premises daily. We have goat, lamb, chicken, beef and turkey. Short Business Description: Caravan Travel Inc. is among the most trusted companies based in the United States of America setting standards in providing high quality services for Hajj, Umrah and all kinds of air travel needs to Muslims around the globe. Short Business Description: Metro Insurance Agency philosophy is to help our clients be educated and comfortable with their insurance challenges. Working on a one-on-one basis with our clients is the core of our business. We offer all types of personal and commercial insurance. Short Business Description: NZM Consulting is an accounting firm that will partner with you to take control of your financial resources and help bring your business and you to the next level of financial success in today's environment. We will work with you to explore new horizons and help your business reach the pinnacle of success.